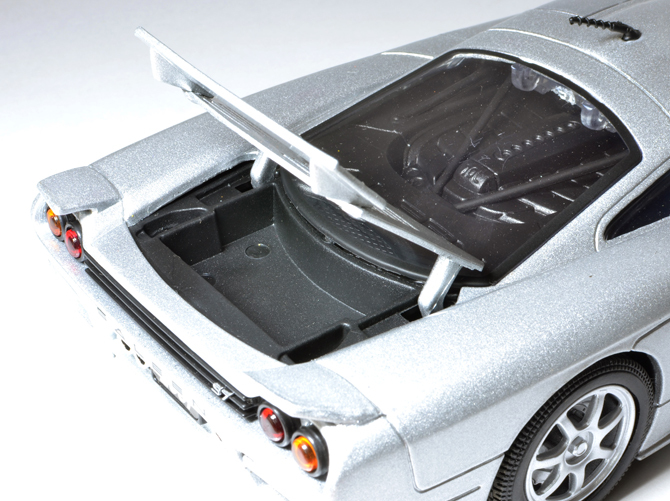 The Saleen S7 is a limited-production hand-built high-performance American supercar developed jointly by Steve Saleen. 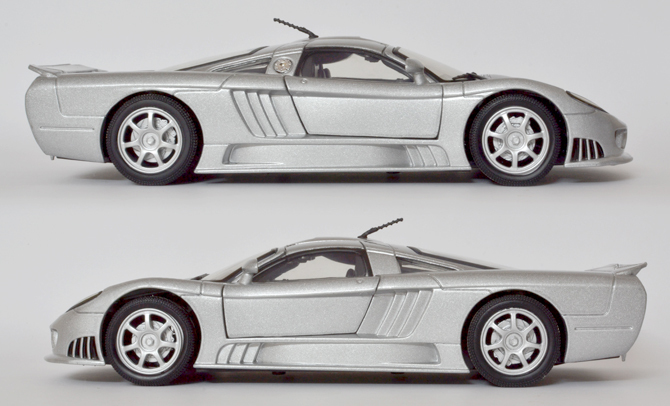 It was the only car produced by Saleen not based on an existing chassis. 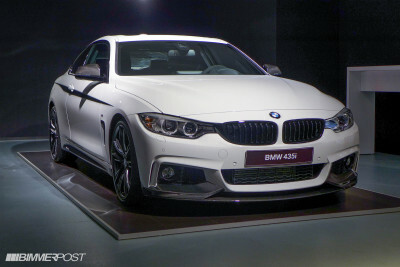 The S7 featured a Ford 427 big block, naturally aspirated V8 engine with 550 horsepower. 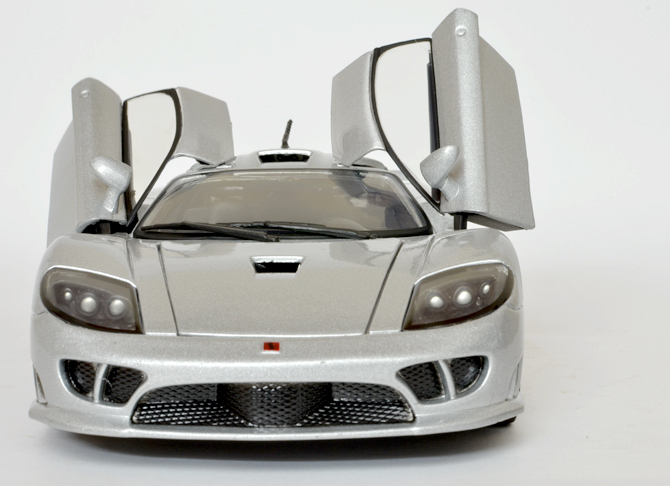 The body of the car made entirely from carbon fiber and uses scoops, spoilers and other aerodynamic features to create split-channel airflow throughout the car and at 257 km/h the car creates its own weight in downforce. 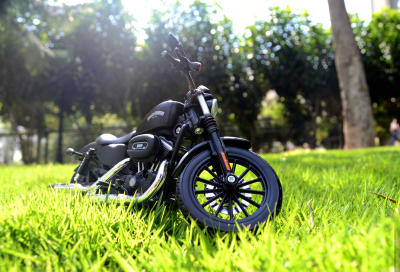 I was hunting for this model for over two years so when I found MotorMax in the shelves of Hamleys Store in Bangalore, it got me into hunting mode!! Me being a Designer would filter out items based on colors so I was searching for an orange one but all I could find in orange were the Lamborghinis! After some scanning I could only find a silver one and that too the last item in the store!! So I have to buy it! 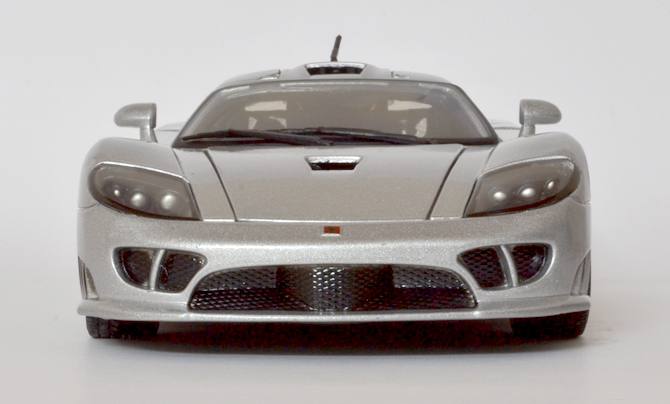 This being one of my first 1:18 MotorMax(Yes I also got Aston Martin DB9) I was a little skeptic of the quality but to my surprise it created a very good first impression… The Model on the whole looks very sleek as the real car. 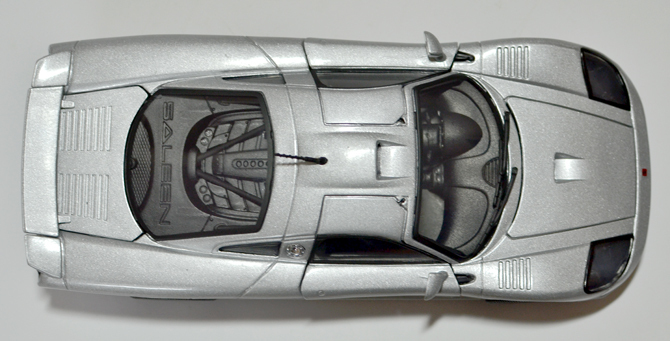 The paint work on the body shell is cool so as the lines that defies this car. This model comes with all the bells and whistles that most models in this range come loaded with. 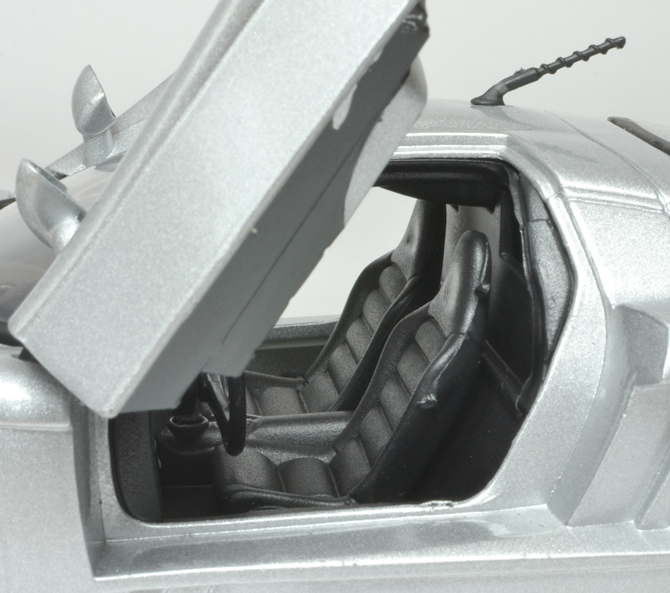 The model has a fully functional steering system, two opening luggage compartment(one infront and one behind the engine on the back), opening engine hood and two door launch upwards in the scissor door fashion. I do know expecting detailed interiors from budget model like this is really too much but expecting more is the human nature isn’t it? 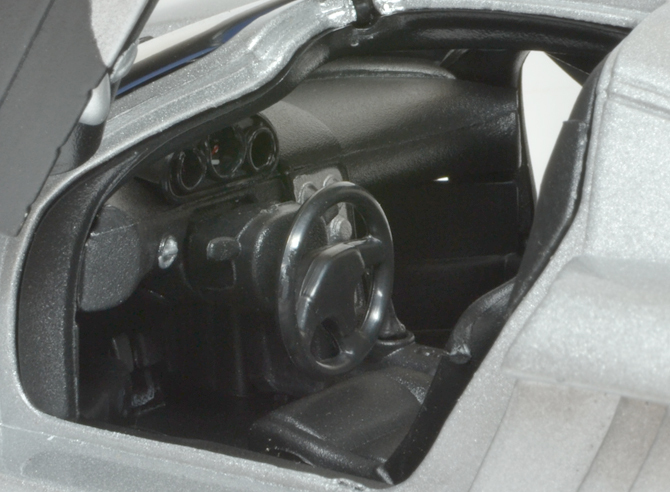 The interiors sore an average rating for its detailing on the speedometer console, almost perfect scaled gear shifter and the handbrake lever by the door. The seats are plasticky but detailed which adds up to the score. The details on the inside of the doors are also nice but the huge screw that holds the door hinge spoiled the otherwise a brilliant door interiors. 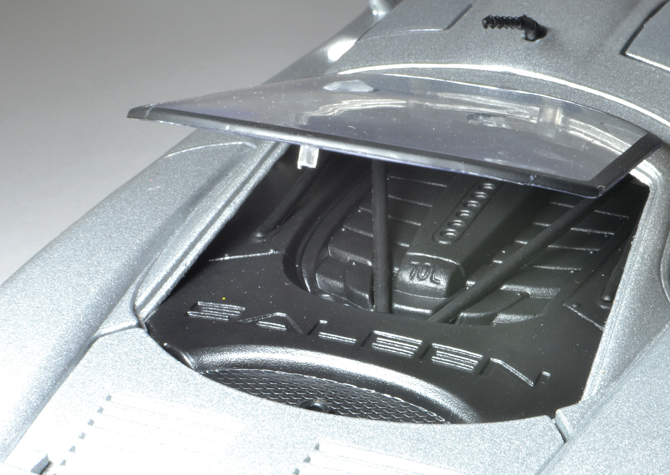 Is the Engine and Boot detailed? I should say yes they are! 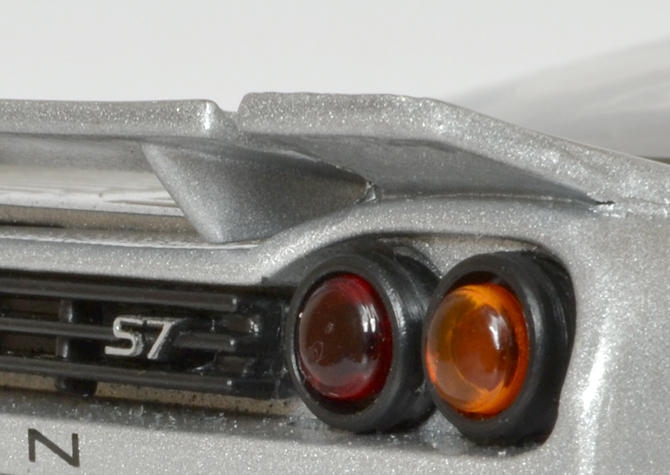 The all black engine is ok when it comes to detailing but lack of colored material makes it boring sometimes. 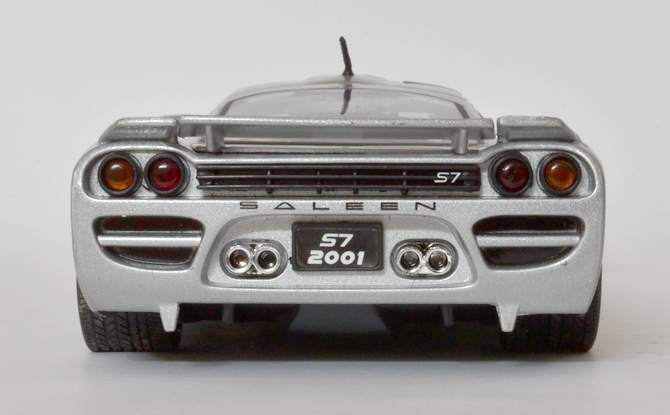 The SALEEN engrave in the chassis add a bit more wooms factor but I could not see that in the real car! The boots are nice and deep! If viewed from some different angles? 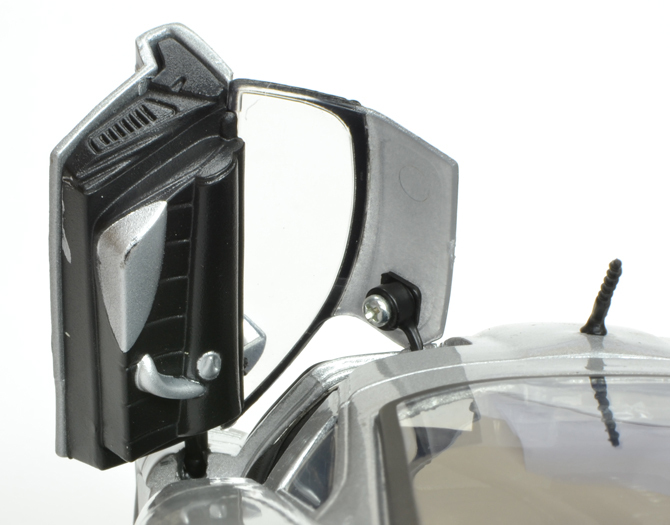 The areal view reveals some important details like the sleek lines that adds aerodynamic character and the shutlines.. 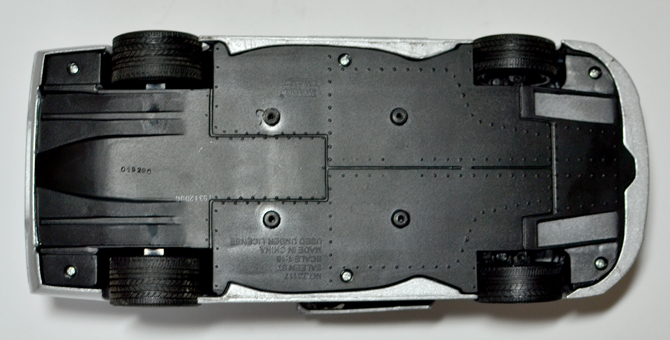 In our case the the model scores a full 5/5 and the undercarriage scores a 4.5/5 because the aluminum screws ate that .5 of the full score. What I liked that you may miss? Though this is a budget model by MotorMax it comes loaded with some special attractions like the radio reception antenna, the air intake detailing, chrome plated fuel cap, sharp alloy wheels shrouded with sleek road tires etc. 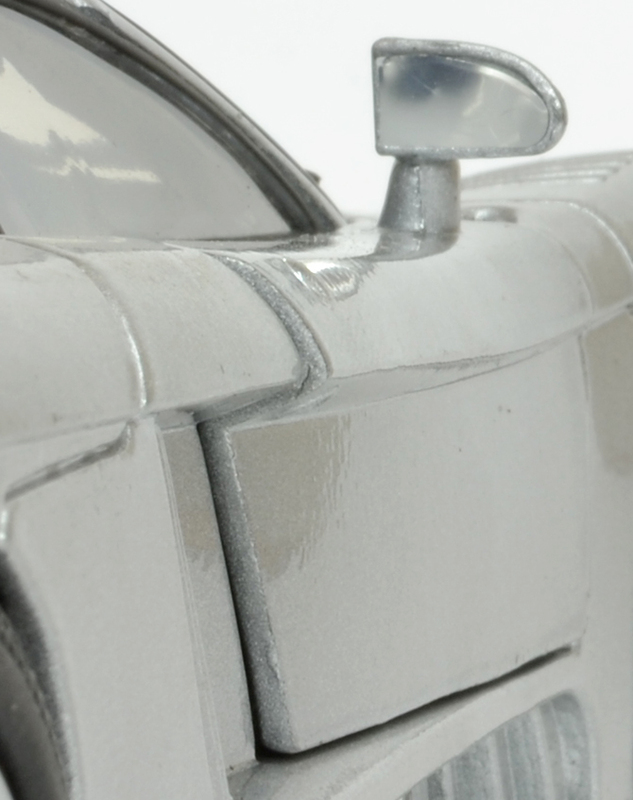 I also liked the detailing on the chrome tipped exhaust that take this model to a different level. What my Eagle eye found? This model does have some notable issues! The doors as long as they are shut they look awesome in most angles but the issue becomes visible if they are kept opened!! The door travel distance is not even! Its somthing like 30% variation which makes this model feel like toy. Gaps are the biggest issue that any budget model come across but this model has reached a different level on it own. 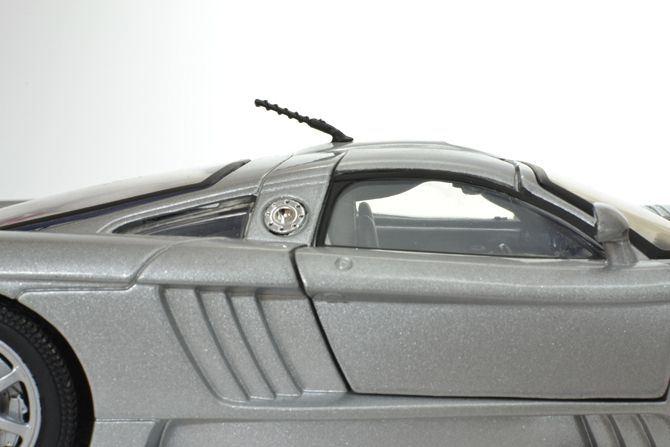 The gaps between the doors and the spoiler can really be spotted by any passerby and if you are a eagle eyed collector like me it will never miss your screening even if this guy is sitting inside his cozy little Box. Finally What I am saying? 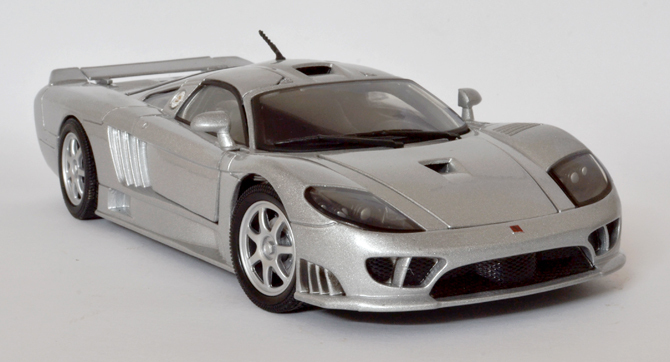 This being one of those models that many premium model makers missed and Hotwheels detailing nowhere near I should give it to MotorMax for the effort! At INR 3000 this is not a cheapo model atleast for collectors in India because Maistos and Bburagos cost us almost half that of this MotorMax! So I give this model a rating of 4/5 pure because of its exquisite nature. 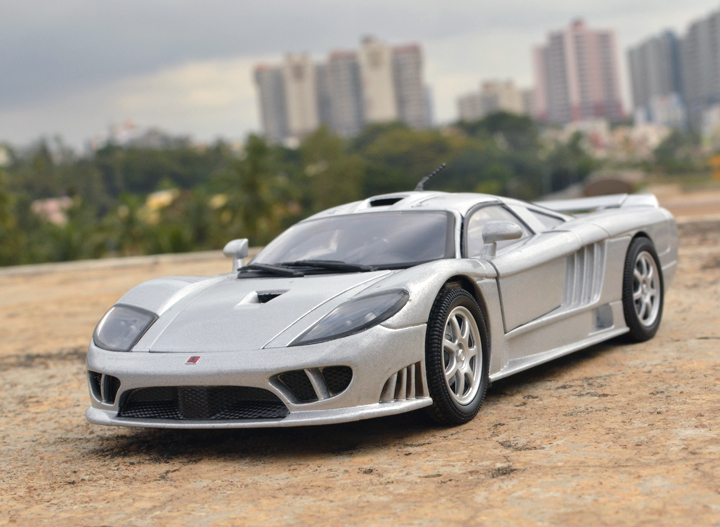 Could you let me know from where did you procure the model of the Saleen S7. 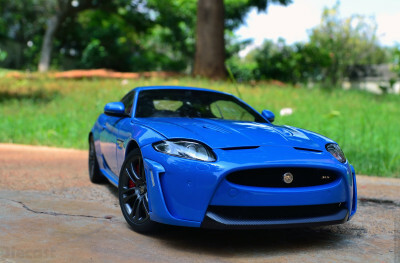 I have been searching for quite some time but have been unable to figure out anyone in India retailing this model. Any info/ help from your end would be much appreciated. I got it from Hamleys Bangalore! 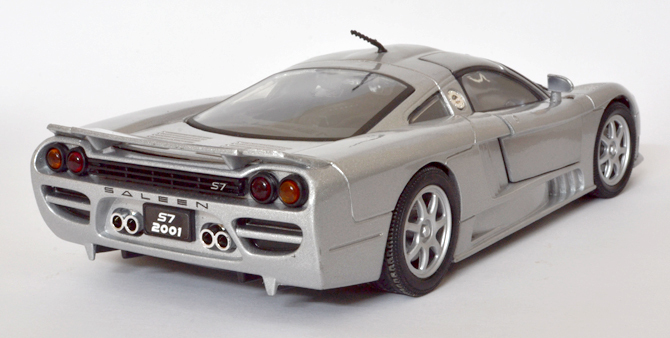 This was the last model..actually I was looking for the orange one but being the last model I took it!! 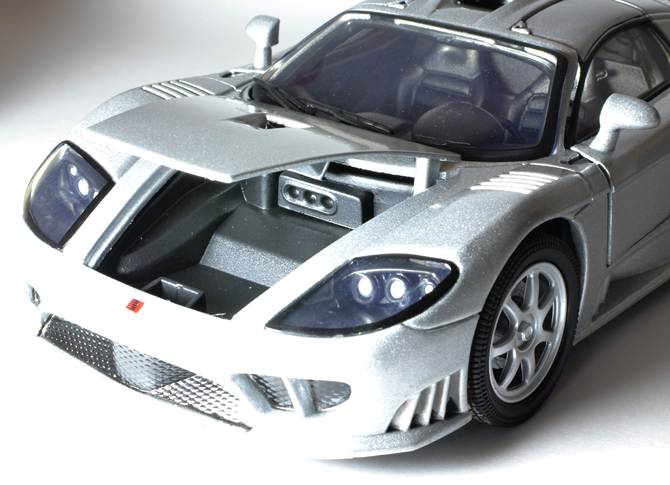 It seems the Hamleys is importing Motormax so check it out. Good luck.